We were taking a look at the main details of the Spring Budget for last week's Finance Fridays. This week we are talking about buying property at auction. If you have ever watched television on a weekday morning then no doubt you have come across Homes Under The Hammer on BBC1. This programme follows properties being sold at auction and what the new owners then do with them. Many auction properties are bought cheaply and then done up to sell at a profit or rented out as a long term investment. For other people they find it a more affordable way to get onto the property ladder or to expand a business. It can also be very quick as once the hammer falls on your winning bid you own the property unlike the months it can take if buying through an estate agent. Before you take the plunge make sure you know what the pitfalls are and the process you need to follow. 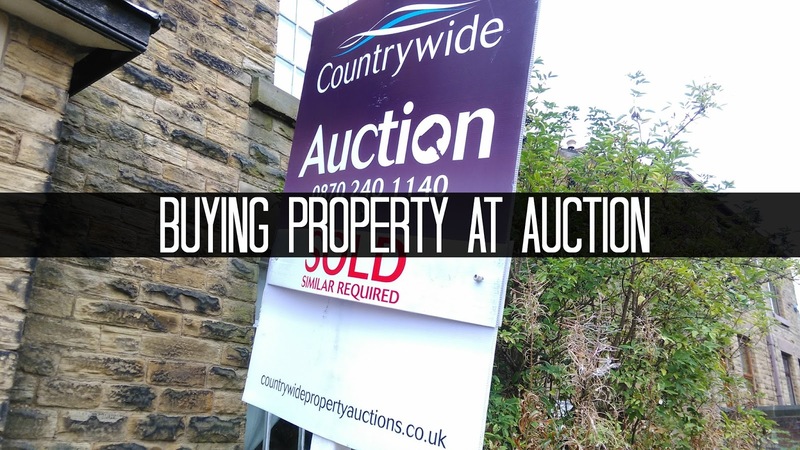 Never just turn up at an auction intending to buy – Property auctions involve thousands of pounds so don't be tempted to buy a property without all the knowledge first. It is a good idea to visit a couple of auctions before you intend to buy so you can get an idea of what happens and the processes involve. Just make sure you don't register as a bidder first! Visit the property beforehand – This will give you a basic idea if the property is right for you. The auction catalogue may make no mention of potential nearby problems. For example it could be near a polluting factory or on a very busy road. You may also find the neighbouring properties are run down which could affect the future resale price. By looking at the property itself you can get an idea of what structural or cosmetic work that needs to be done on the property. Read the legal pack – The legal pack should contain any special conditions of sale, title deeds, leases, office copy entries, search and replies to pre-contract enquiries. If parts of it are missing then ask why. If there is a problem with the title deeds it could end up with a lengthy and expensive legal dispute. Do the relevant searches – If they aren't contained in the legal pack just like any property purchase make sure you get a copy of the property and land searches. Get quotes – If you are interested in buying the property get quotes to see how much it would cost to get any necessary work done. You may find it would work out cheaper to buy another property. Also check out what the market value of the property would be once the work is done. It will give you an idea of the maximum price you will need to go to at the auction. On the auction day – Get there early so you're not too flustered before the auction starts. You can also get your pick of the seats. Make sure you bring suitable identification with you plus your banking details. Check the addendum sheet to see if there are any changes to the property you are interested in. It could be that it has been withdrawn from sale which means you can go straight home again! If there are changes to the property make sure you understand the implications before you decide to proceed to bid on it. If you are still wanting to bid then register with the auction house. Don't go over your budget – Once you have decided on a property set budget and stick to it. Don't get carried away in the heat of the auction. If someone else can afford to pay more for it then let them. Stick to the property you researched – If you have missed out on your intended property don't be tempted to go for another instead if you don't know all the details about it. Make sure you have the finances in place – A bid is legally binding and after the auction has finished you will need to pay the 10% deposit straight away. You will then have 28 days to pay the remaining balance. If you require a mortgage you will need a decision in principle beforehand which is why it is important you don't buy another property at the auction or overspend. If you are buying with cash you will need to access the funds in time. If you don't make the 28 day deadline you could end up forfeiting your 10% deposit. Unsold properties – Each property usually has an initial guide price but it may also have a reserve price attached it. This will be the lowest price that the seller wishes it to go for. The final bid on the property may not be high enough to meet the reserve price. If this happens to the property you are interested in then speak to the auctioneer when the auction finishes. They may be able to negotiate with the seller about selling the property to you. Have you ever bought a property at auction? Would you consider buying a property this way? If you want to join in with this week's Finance Fridays then add your link to the linky below. Any post concerning financial matters is allowed. Full details here. It doesn't have to be published today as you have until 23.55 on Tuesday 21st March 2017 to join in. This is great advice. I am always fascinated by the programmes on the TV where they buy houses at auction and do them up for profit. I think I could do it but I prefer to do the more traditional route!